The Delphi Wine Server is a show stopper. 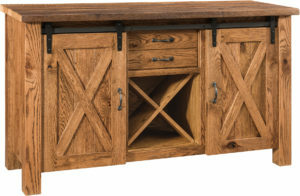 It is sure to catch the eye of all of your guests with its unique V-shape wood door panels and solid wood hardware. The V-shape mirrors the same shape in the Delphi Trestle Table. So, if you love it here be sure to take a look at the Delphi Trestle Table, too. 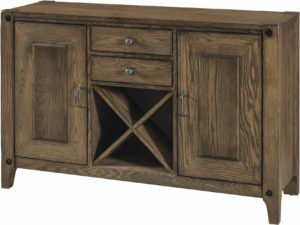 It has a modern feel while still having the luxury of being solid wood. There is a 1-inch adjustable shelf behind each door. Thus, giving you the ability to move it up or down to accommodate your wine glasses or even plates, glassware, serving bowls, etc. Let’s not forget the wine bottle storage. Now there is no more wondering where you are going to store your wine. For a quote, click on the “Customize This Product” button. 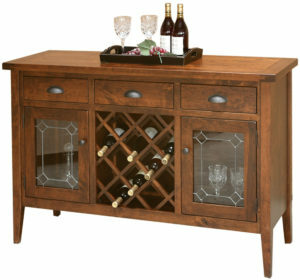 Then, choose from the wide selection of options available for this Amish-crafted Delphi Wine Server. 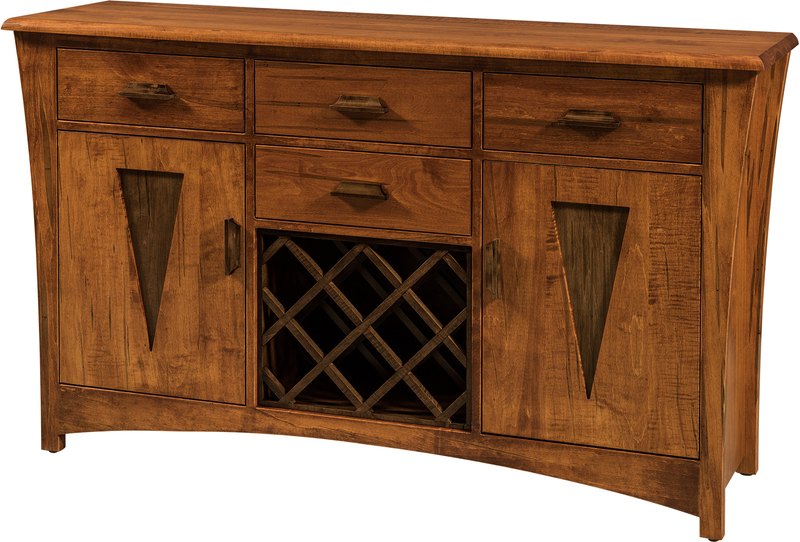 Please visit us at Brandenberry Furniture in Shipshewana, Indiana. 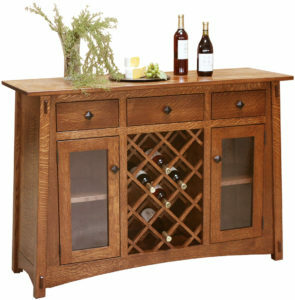 Then, you will be able to see a wide selection of our quality crafted solid wood wine servers in person. Additionally, you can call or e-mail us with any questions you may have. We look forward to helping you customize this server to meet your needs or giving you a complimentary price quote. So, please don’t hesitate to contact us. Our sales representatives are ready to chat.